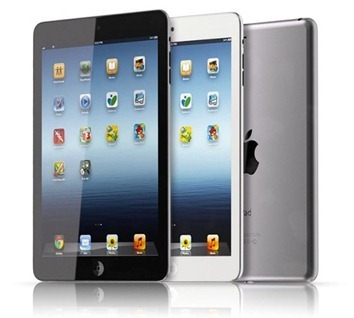 As expected, Apple unveiled the much-anticipated iPad mini during their recently held event. But it was just one among the many products the tech giant introduced at that special occasion. The fourth generation iPad was also introduced as well as the 13-inch Retina MacBook Pro, Apple’s most popular notebook. The new iPad has a 7.9-inch screen at 1024 x 768 pixels. It can run up to 275,000 apps and is really thin at 7.2 mm thick. It weighs only .68 pounds with a 720p FaceTime HD front camera, as well as a 5-megapixel iSight rear camera for 1080p video recording. It also has a faster Wi-Fi. It comes in black with slate or white with silver. The Wi-Fi models will hit stores on Nov.2 for $329 with 16GB of storage. The 32GB version will sell at $429 and the 64GB is priced at $529. The Wi-Fi cellular models are priced at $459 for the 16GB version, $559 for the 32GB version, and $659 for 64 GB model. The new MacBook Pro with Retina display is .75 inches thick and weighs 3.75 lbs. It has a resolution of 2,560 x 1,600 pixels, a definite upgrade from the previous version’s resolution. The Flash-based hard drive starts at 12GB to a whopping 768 GB. The more compact version has a 2.5 GHz Intel Core i5 processor with the option to choose the faster 2.9 GHz Intel Core i7 processor. The graphics are provided by Intel HD Graphics 4000. It starts with 8GB of 1,600 MHz memory. It has two Thunderbolts and two USB 3.0 ports for connectivity plus an HDMI port. It also features also features a FaceTime HD camera, dual microphones, improved speakers, three-stream 802.11n Wi-Fi, and Bluetooth 4.0. The battery is said to last for 7 hours.